You’d think that the world’s rarest flower would be something more exotic than a rose. Maybe a man-eating jungle plant, or some kind of rare plant straight out of the global seed vault. However, you’d be wrong. The world’s rarest flower is a rose that was once sold in bulk to the public, but now exists in only two places in the world. In 1806, John Middlemist brought a flower back from China. He called it Middlemist’s Red. Since that time, the plant has been wiped out in China, so there are only two places where you can find the plant: a garden in New Zealand and the Chiswick House Gardens in Great Britain. As luck would have it, the Chiswick House plant is in bloom. That’s a gorgeous flower, isn’t it? 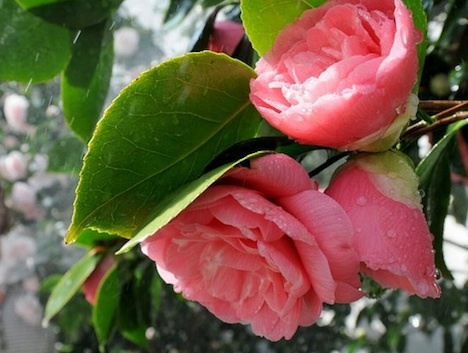 It’s called a Camellia, which is a flower generally native to Southeast Asia. It’s amazing that a plant can go from a common backyard decoration to the world’s rarest in a couple of generations. Experts say the hardy plant may still be around in backyards throughout England, so it’s time to start searching for that needle in a haystack, amateur botanists!